No matter what generation Mustang you have, you always want to make more power than stock, the problem is how do you go about doing it? There are a huge assortment of parts for Fox Body to S197 Mustangs and it can be a little over-whelming to try and pick the right ones to put onto your Mustang. 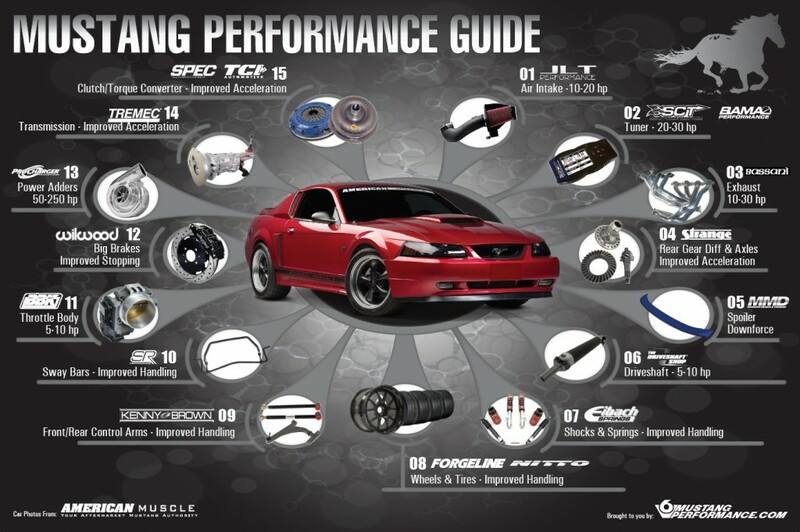 AmericanMuscle and V6MustangPerfromance have you covered with how to build up your Mustang to be a mean street machine! 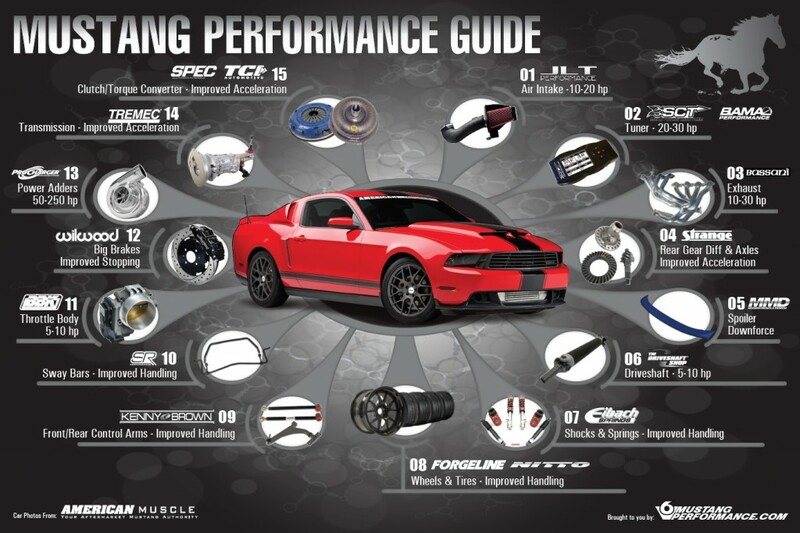 Take a look below at these helpful guides that give you the gist on how to build up your Mustang to be one an all-around performer on the street and at the track. The 2005 – 2014 Mustang has been a huge success for Ford and a crowd favorite in the Mustang community. The S197 Mustang has given way to some of the most powerful Mustangs as of yet, and Mustangs that respond incredibly well to modification. Bolt-on parts for 2005-2009 and 2010-2014 Mustangs are plentiful and deliver amazing results; it does not take much to have a fast S197 Mustang smacking down the competition on the track or on the street. In this guide we have presented you with an easy to follow guide on how to have your 2005 – 2014 Mustang at the top of the food chain. The Fox Body Mustang spurred the huge craze of modifying Mustangs because of how easily modifiable they are. They have one of the biggest aftermarket selection of parts of not just Mustangs, but enthusiast cars in general. With that said, there is a lot of different ways you can go about modifying one. In the modification guide below, we have planned out a series of steps you can follow that will ensure you the best return in power and performance on your Fox Body Mustang. From simple bolt-on intakes and exhaust to a supercharger and transmission. 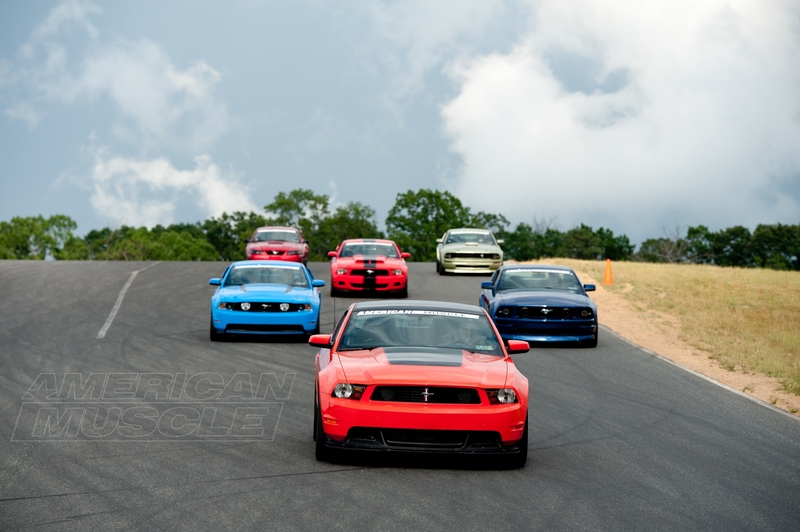 Previous Entry The 2014 AmericanMuscle Car Show is This Saturday @ Maple Grove Raceway!